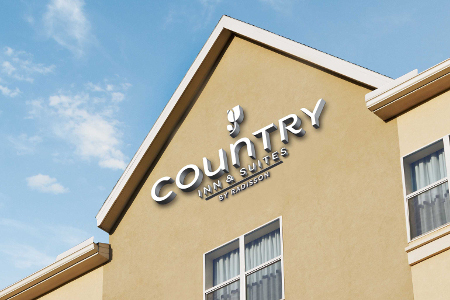 Nestled in the heart of the city, the Country Inn & Suites® by Radisson Jammu provides business and leisure guests with a contemporary, full-service hotel near local corporations and the banks of the scenic Tawi River. You’ll find the Jammu Tawi railway station within one kilometre of the hotel, and the city’s main business hub, Bahu Plaza, lies just across the street. When you’re ready to explore the historic roots of the area, drive less than 25 kilometres to discover architectural gems such as Raghunath Temple and Amar Mahal Museum & Library. Treat yourself to global flavours at Mosaic Restaurant, the international eatery located on site. After a day of client meetings at Bahu Plaza, you can reconvene with colleagues at Aabshar bar and enjoy a refreshing cocktail. Looking for a quick bite between meals? Swing by the Lobby Lounge, which offers snacks like flaky pastries and fresh juices. If you prefer to take your meals in private, room service is available 24 hours a day. Bahu Plaza – Conveniently situated across from the hotel, this expansive complex houses offices for many banks and governmental organizations, making it easy to attend client meetings. Afterward, stick around to explore the various shops or grab a bite to eat at one of the on-site restaurants. Bahu Fort – Built more than 3,000 years ago, this ancient fort located on the left bank of the Tawi River draws visitors from far and wide to admire the notable Mughal architecture. The inside of the fort contains a Hindu temple, while the outside features peaceful gardens and a local aquarium. Amar Mahal Museum & Library – Once the seat of the Dogra emperor, this stunning building constructed in the 19th century stands out for its French chateau-style architecture. Pack your camera to take pictures of the 120-kilogram pure gold throne, the royal family portraits or the miniature paintings in this royal palace turned museum and library. Located across the street from corporate offices in Bahu Plaza and 20 minutes from Jammu Airport (IXJ), our on-site meeting facilities provide a convenient gathering space for up to 400 guests. Whether you’re hosting a rehearsal dinner, a product launch or a high tea, our knowledgeable event coordinators stand ready to assist with every detail, including floral arrangements, audiovisual equipment setup and on-site catering. Guests must be at least 18 years old to reserve a room. A government-issued ID with proof of address is required for check-in.